That's funny. I remember reading recently some guy on WUS trashing Uncle Seiko for stealing the tropic strap design. Guy thought he stole it from the Oris 65. 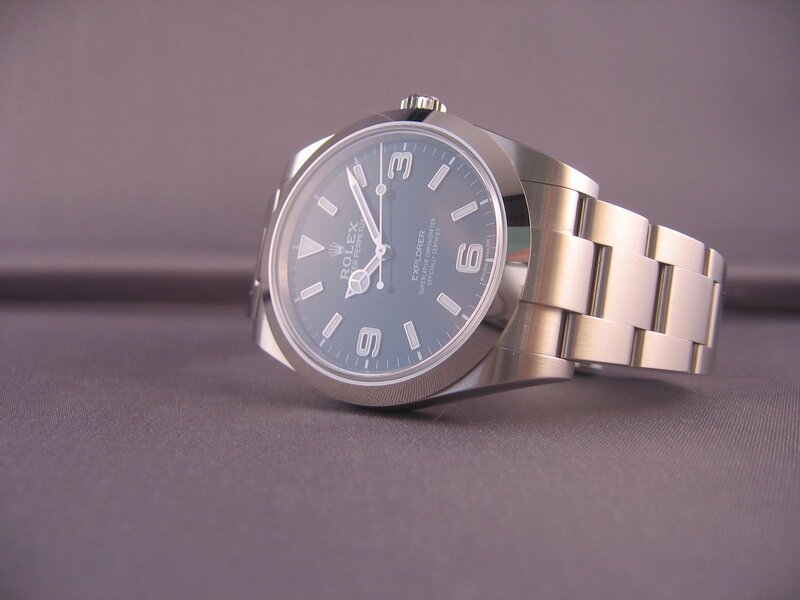 Going to wear the Explorer again. After two days I haven't quite bonded with it, maybe today's the day? Topic: 16610LV NOS on davidSW, are people on drugs? Re: 16610LV NOS on davidSW, are people on drugs? Very nice Mike, I'd gladly wear any one of them. I like a Cali dial (in a steel Radiomir), and I love a pvd Luminor case, but I'm not really loving the combination. Excellent review as always Brett. I'm holding out for the BB58, and just read somewhere that it's delayed now until September. Has anyone else heard this? I bet the mark xv dial is larger. Those mugs look long though. They are, mug to mug is 48. I read 47.5 LTL. It's about the size of a 14060, which for me is perfect. My only minor gripe with the BB58 is the gilt coloring on the bezel insert, which doesn't seem so pronounced in these pics. The dimensions are perfect to me, I always loved the BB but found the dimensions awkward. I'll definitely get one on bracelet when they're available.